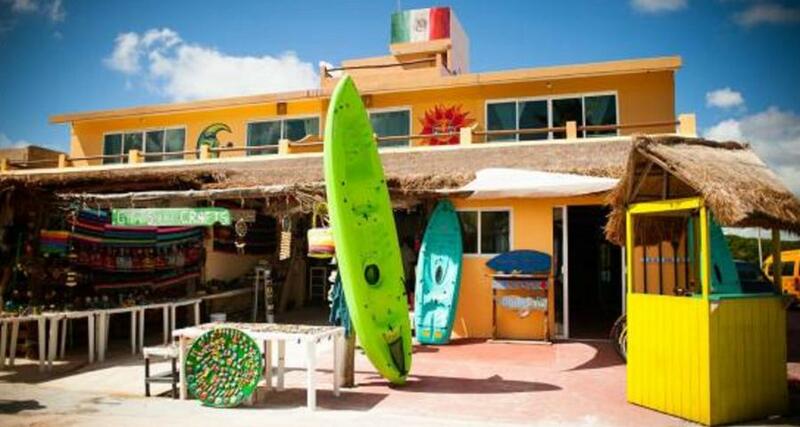 Maha Sand Suites Hostel & Hotel is a 3* hotel located in Mahahual, Mexico. It features 10 rooms. Maha Sand Suites Hostel & Hotel is located a few steps from the beach and is a perfect starting point to explore Mahahual. This hostel is an ideal choice for travelers that look forward a tropical environment to enjoy the refreshing Caribbean breeze, away from the hustle and bustle of the cities. The property has different rooms categories, both private and shared. All accommodations are equipped with basic services for a relaxing stay. In addition, you can enjoy optional activities such as kayaking, diving or cycling around this enchanting town.